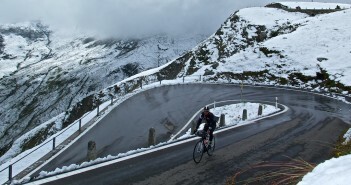 A beautiful Swiss Cycling Climb. Biking to Gurnigel Pass. Map, photos, profile, etc. 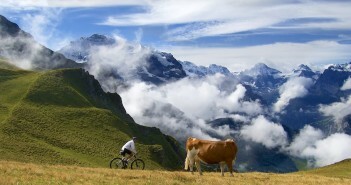 Mountain biking more than a vertical kilometre above Verbier to Croix de Couer, Col des Mines, and Col de Chassoure. Photos, map, etc. 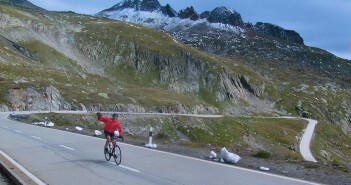 Cycling up Nufenpass (Passo della Novena). 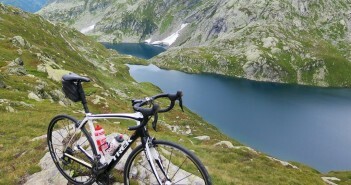 The second highest pass in Switzerland and a detour to a beautiful dam/lake below a glacier. Not bad. Map, photos, elevation profiles, etc. 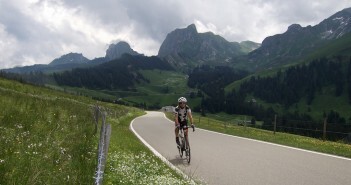 Beautiful 41 kilometre cycling climb up to the Lago di Santa Maria at the Passo del Lucomagno. 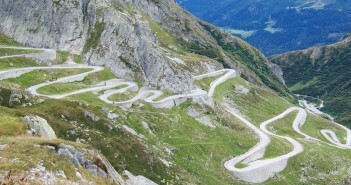 Map, photos, route description. 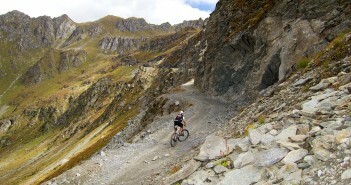 Very fun and challenging mountain bike climb from Fruitigen to Gemmipass (without taking a cable car). Map, photos, route details.